Within this short quote, many of the common issues related to climate change are raised—recent events that are not necessarily indicative of a long-term trend, a claim that the “science” is settled, and a warning that we must act right now. The president followed these words by vowing that, if legislation were not forthcoming, he would do all he could by executive order. These new policies will almost certainly raise the cost of energy. Higher energy costs will lower the standard of living for all, particularly the poorest among us. Is a disastrous change in the climate looming? Is man responsible? Let’s begin our journey to answer those two questions by defining our terms. 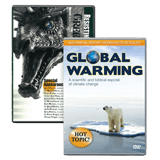 The Oxford English Dictionary defines climate change as a change in global or regional climate patterns, in particular a change apparent from the mid to late 20th century onward and attributed largely to the increased levels of atmospheric carbon dioxide produced by the use of fossil fuels.3 Other dictionary definitions are much more succinct and do not specify cause, direction, or time frame. It is not surprising that there is some disparity in the definitions. With controversial subjects, people often disagree on exactly what the words mean. For the purpose of this chapter, the phrase “climate change” will be used to mean long-term changes in climate (mainly temperature) without implying any cause for, or direction in, the change. Do Climate Change and Global Warming Mean the Same Thing? Some use these phrases interchangeably, and others do not. Those who see the global temperature as going only in one direction often use them interchangeably. However, the phrase “global warming” was much more popular before 2006 and 2007 when the average global temperature declined significantly. “Climate change” is much more commonly used today and seems much less prejudicial. Therefore, “climate change” will be used herein. How Could There Be So Much Disagreement over a Scientific Issue? When there is a lack of good data and when people view the data from two very different perspectives, it is easy to have disagreement. Measuring the average temperature of the earth is very difficult. At any point in time, different parts of the earth are experiencing different conditions; for example, day and night, summer and winter, cloudy and clear, arid and humid, and windy and calm. This level of variability requires frequent measurements to be made in many places over many years in order to calculate an average global temperature. Temperature measurements have been made at land-based weather stations since 1880. Two main factors have made those measurements less accurate than they need to be—drastic changes in the immediate area around some of these weather stations and poor distribution of weather stations around the earth. These facts led scientists to push for temperature measurements from satellites. We are in a very early stage in the process of understanding climate change. Satellites are able to provide much-improved data over land-based systems. But even the satellite measurements, which began in 1979, are not without their issues. In 2002, the satellite orbits were adjusted so the measurements could be made at a consistent place and time of day.4 Clearly, only a few years of useful measurements are not enough to give us a good understanding of climate change. That’s not even enough time for us to be sure that these new satellite measurements are sufficiently accurate. Lord Kelvin said, “to measure is to know.” We will never have a clear understanding of climate change until we are able to accurately measure the earth’s temperature for decades, if not centuries. The lack of accurate measurements has not stopped scientists from interpreting the data they do have. No problem. That is how science works. Scientists do their best to gather accurate data and propose theories based on those measurements. They test those theories by doing further experiments to see if the new measurements are consistent with the latest theory. In the process of using this scientific method, scientists learn how to do better experiments, make more accurate measurements, and propose better theories. The problem here is that we are in a very early stage in the process of understanding climate change. In early stages, researchers have a strong tendency to develop theories based on their own worldview and to run experiments designed to prove their theory rather than test it. The current bias toward global warming will likely lengthen the time required to construct more accurate climate models. Within this worldview it makes perfect sense that the earth would have a temperature control system just like our bodies do, since God designed them both. Has the Media Accurately Reported on Climate Change? “When a dog bites a man that is not news, but when a man bites a dog that is news.”6 Likewise, a stable climate is not news, but a dramatically changing one is. The surprising thing is that the Newsweek article in the 1970s was referring to global cooling, and then-Senator Obama was referring to global warming. Yes, that’s right. The panic in the ’70s was that the earth’s temperature was declining and would continue to decline. Today, the concern is the earth’s temperature is rising and that it will continue to rise. How Could Predictions About the Direction of Climate Change Be So Different After Only 30 Years? If, in the 1970s, you considered the data from only the previous 30 years, it would have been possible to conclude that the short-term trend is cooling, particularly if you extrapolate well into the future expecting that trend to continue (figure 1). Interpolation of data, trying to estimate a value within a range you have studied, is challenging enough. But extrapolation of scientific data into a region that you know nothing about is not wise. Very recently, a few people have begun to conclude that we may actually be in the early stages of another cooling trend.12 Those who suspect this generally fall in one of two camps. Some are looking at a specific, narrow range of time (1998 to 2012) where there has certainly been no increase in global temperature. Others are focused on solar activity. They are convinced that the sun is the major factor in determining global temperature. This, of course, is a very reasonable conclusion since almost all our energy comes from the sun. In fact, the number of observed sunspots in this latest sunspot cycle is expected to be the lowest in many decades, and the earth did experience the Little Ice Age at a point in time when sunspot activity was very low.13 Has the global temperature started to decline after having increased for about 400 years? Only time will tell. Frankly, with our limited understanding of the major factors that affect global temperature, no one should be confident in predicting the future global temperature. What Are the Politics of Climate Change? At present a number of expert climatologists and the IPCC (Intergovernmental Panel on Climate Change) appear to be in agreement that the earth’s temperature is rising and will continue to rise. However, it is hard to know what the scientific judgment of these individuals would be in the absence of overwhelming political pressure. Their funding and their livelihoods are clearly affected by their stance on this issue. We scientists want to believe that we are unbiased—that we are strictly interpreting the data and are not swayed by other factors. Are scientists different from all other human beings in this regard? Obviously not. We are swayed by our emotions and our beliefs, just like everyone else. So beware when scientists become emotionally attached to their theories, ignore the uncertainties in their data, or claim that “all reputable scientists agree” or that “the science is settled.”14 When one or more of these is true, you can be sure that the issue being discussed is not purely scientific. When “the science” really is settled, the evidence will be overwhelming, and there will be no need to claim that the science is settled. While investigating any subject, it is interesting to follow the money. There is big money in climate change issues. The person that is the most closely associated with “global warming” is Al Gore. “Critics, mostly on the political right and among global warming skeptics, say Mr. Gore is poised to become the world’s first ‘carbon billionaire,’ profiteering from government policies he supports that would direct billions of dollars to the business ventures he has invested in.”15 “Mr. Gore says that he is simply putting his money where his mouth is.”16 Gore’s many multi-million dollar investments in green energy projects and his purchase of a $9M ocean-view home in California are clear evidence of his financial success in this arena. He will certainly have a good vantage point from which to watch a possible rise in sea level! Is the Truth about Climate Change Really Inconvenient? It is tempting for each of us to focus only on what has happened in our lifetime. However, for questions related to climate, we need a much longer-term perspective. Have the global temperatures in the last few decades been significantly higher than in the distant past? Unfortunately, there is no way to know for sure. No temperature measurements are available before 1880. Scientists have tried to correlate other scientific data with global temperature, but estimating temperatures in this way is fraught with difficulties. Correlation of ice core or tree ring data to global temperatures is full of assumptions that cannot be verified. Figure 2 shows eight different attempts that were made to predict global temperature.17 The dark line is the average of these data for what they presume to be the last 12,000 years of earth history. Confused as to why anyone would be convinced by these data? You should be. The most recent reconstructions are shown in the insert of figure 2 for the last 2,000 years. These data have led many climatologists to conclude that the climate is much warmer now than in the last 2,000 years. Historical evidence provides a different perspective on global temperatures during the last two millennia. There is good evidence that the climate in the Northern Hemisphere was warmer about a thousand years ago—the Vikings were able to farm in Greenland. After a few hundred years, they stopped farming due to a cooler climate. The temperature continued to decline for a few hundred more years, and the Thames in London began to regularly freeze.18 The decline in temperature reversed course in about A.D. 1700. If this warming trend continues, it may again be possible to farm in Greenland, and the sea ice in the north Atlantic may again be scarce. Figure 3 is an estimation of the relative global temperature from historical observations before 1900 and from weather station data after 1990. While we cannot be certain about what was true in ancient times from either historical or scientific data, the historical observations seem more reliable in this instance. From these limited data, it appears that the global temperature cycles around a mean temperature and has been slightly warmer in recorded history than it is today. There is no reason to panic. Are We the Cause of the Rise in Temperature Since the Little Ice Age? Many believe that this recent rise in temperature is caused by an increase in carbon dioxide due to our burning of more fossil fuels. Let’s look at some facts about carbon dioxide and examine the evidence of its effect on global temperature. The presence of carbon dioxide in the air is essential to life on earth. Without carbon dioxide, there would be no plant life, and without plant life there would be no animal life. Despite this, Lisa Jackson of the Environmental Protection Agency declared that carbon dioxide was a pollutant under the Clean Air Act and deemed that it was a hazard to human health.19 So is CO2 essential to life or a pollutant? The government apparently thinks that it is both—essential at low levels and harmful at high levels. But is there a level at which CO2 is too high? As with most government regulations, this regulation preceded our understanding of the science. While CO2 does influence the global temperature, the exact relationship has not been established nor has the maximum CO2 concentration in air. We do know that carbon dioxide is a greenhouse gas. Greenhouse gases act as a blanket over the earth. When sunlight heats the earth’s surface, the warm earth radiates some of that heat into the atmosphere. Greenhouse gases slow the escape of that radiated heat. You have been led to believe that the most important greenhouse gas is carbon dioxide. It is not. Water vapor and clouds are actually responsible for about 80 to 90 percent of the total greenhouse effect. That’s right, at least 80 percent. That is why clear mornings are usually much colder than cloudy mornings. On clear mornings, we do not have that blanket of clouds to hold in the heat. The percentage of the greenhouse effect attributable to CO2 is believed to be as high as 20 percent by some and as low as 4 percent by others.20 Almost everyone agrees that the percent of CO2 that is man-made is only about 4 percent of total CO2. Therefore, the greenhouse effect caused by man-made CO2 is less than 1 percent of the total and may be a small fraction of 1 percent. Despite this, many scientists today claim that the rise in man-made CO2 is the major cause of the rise in global temperatures over the past century. Just because global temperature and CO2 concentrations have risen over the past several decades does not mean that one caused the other. Figure 4 shows that the correlation between the CO2 concentration and global temperature is not strong, particularly between 1900 and 1950. The temperature profile in figure 3 also does not match well with man-made CO2 levels because man-made CO2 was not high during the Medieval Warming Period. These data are not convincing. Is the Global Temperature Nearly Out of Control? Climatologists’ greatest concern is that a temperature increase during the last few decades might be amplified by positive feedback causing the global temperature to spiral out of control. They are worried, for example, that a higher temperature on the earth could melt more of the permafrost, release more CO2, and cause a greater greenhouse effect. On the other hand, a higher temperature on earth could cause more evaporation, more cloud formation, and more sunlight to be reflected away from the earth. This negative feedback could moderate the global temperature. Which type of feedback is more influential? Scientists are currently not able to quantify them well enough to know whether the negative feedback outweighs the positive. Engineers familiar with control systems are well aware that control systems dependent on positive feedback easily go out of control whereas those based on negative feedback generally do not. Since the earth’s temperature has been relatively stable for many centuries, it seems more likely that the earth’s climate is moderated by more powerful negative feedback systems. It appears that a brilliant designer has designed a molecule that is both essential to human life and essential for controlling the climate of the earth. Water is a polar molecule that is able to dissolve salts, proteins, and DNA that are essential for our cells to function and for life to exist. Water’s other physical properties are just as critical to controlling the earth’s climate. It takes more heat to change water from a solid to a liquid or from a liquid to a gas than any other common molecule. The 310,000,000 cubic miles of water on the earth’s surface are able to hold a tremendous amount of heat and provide great temperature stability to the earth. Water can readily transfer heat from the earth’s surface to the air by evaporation and condensation, which is the basis of the hydrological cycle and much of our weather. Cloud formation may also be the key to a negative feedback system that helps moderate temperature changes in the earth’s atmosphere. Without water, the range of temperature from day to night and from the earth’s surface to the upper atmosphere would be much greater. Clearly water is critical to human life in many, many ways. Previous Article What Did the Reformers Believe about the Age of the Earth? 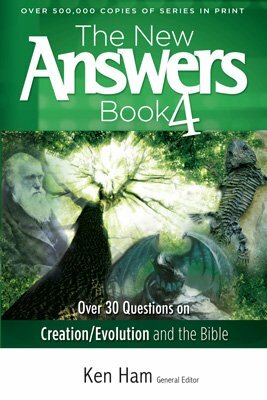 Building on the previous New Answers Books, now you get the important information you need regarding the Gospel and a young earth, death of plants and leaves, dragons, peppered moths, religious wars, cavemen, science and the Bible, living fossils, and more. 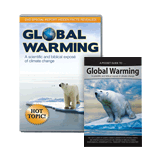 For example, see Michael E. Mann and Lee R. Kump, Dire Predictions Understanding Global Warming (New York: DK Publishing, 2008), p. 108–139. “Transcript of Obama’s State of the Union Address,” ABC News, http://abcnews.go.com/Politics/OTUS/transcript-president-barack-obamas-2013-state-union-address/story?id=18480069#. Roy W. Spencer, The Great Global Warming Blunder (New York: Encounter Books, 2010), p. 13. Stephen Jay Gould, quoted in James A. Haught, 2000 Years of Disbelief, Famous People with the Courage to Doubt (New York: Prometheus Books, 1996), p. 290; or the original reference is S.J. Gould in “The Meaning of Life,” Life Magazine (Dec. 1988), p. 84. Bartlett’s Familiar Quotations, 16th ed., ed. Justin Kaplan (Boston, London, and Toronto: Little, Brown, 1992), p. 554. Peter Gwynne, “The Cooling World,” Newsweek, April 28, 1975; available online at http://denisdutton.com/newsweek_coolingworld.pdf. Barack Obama, “The Coming Storm: Energy Independence and the Safety of Our Planet” (campaign speech, Chicago, IL, April 3, 2006). Data from the Goddard Institute for Space Studies, National Aeronautics and Space Administration. http://data.giss.nasa.gov/gistemp/graphs_v3/Fig.A2.txt. These data are updated from the data in J. Hansen, Mki. Sato, R. Ruedy, K. Lo, D.W. Lea, and M. Medina-Elizade, “Global temperature change,” Proc. Natl. Acad. Sci., 103 (2006) 14288-14293, doi:10.1073/pnas.0606291103. Mann and Kump, Dire Predictions Understanding Global Warming, p. 45. For example, see Larry Vardiman, “New Evidence for Global Cooling,” Institute for Creation Research, http://www.icr.org/article/new-evidence-for-global-cooling/; and Larry Vardiman, “Will Solar Inactivity Lead to Global Cooling?” Institute for Creation Research, http://www.icr.org/article/will-solar-inactivity-lead-global-cooling/. “The Sunspot Cycle,” National Aeronautics and Space Administration, http://solarscience.msfc.nasa.gov/SunspotCycle.shtml. For a similar discussion, see Roy W. Spencer, Climate Confusion (New York: Encounter Books, 2008), ch. 2. John W. Broder, “Gore’s Dual Role: Advocate and Investor,” The New York Times, http://www.nytimes.com/2009/11/03/business/energy-environment/03gore.html?_r=0. The original literature references for all these data can be found at Wikimedia Commons, “File: Holocene Temperature Variations.png,” http://commons.wikimedia.org/wiki/ File:Holocene_Temperature_Variations.png (GNU free documentation license). Spencer, The Great Global Warming Blunder, p. 2 and references. John Broder, “EPA Clears Way for Greenhouse Gas Rules,” The New York Times, http://www.nytimes.com/2009/04/18/science/earth/18endanger.html. Spencer, The Great Global Warming Blunder, p. 44; G.A. Schmidt, R.A. Ruedy, Ron L. Miller, and A.A. Lacis, “Attribution of the Present-day Total Greenhouse Effect,” Journal of Geophysical Research 115 (2010): D20106. 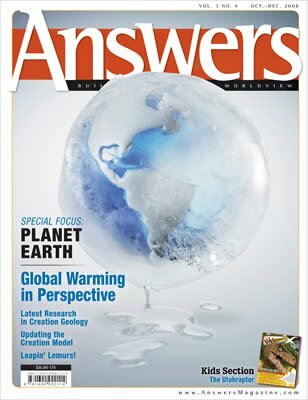 For further information on this issue, see Michael Oard, “Is Man the Cause of Global Warming?” in The New Answers Book 3, Ken Ham, gen. ed. (Green Forest, AR: Master Books), p. 69–79.